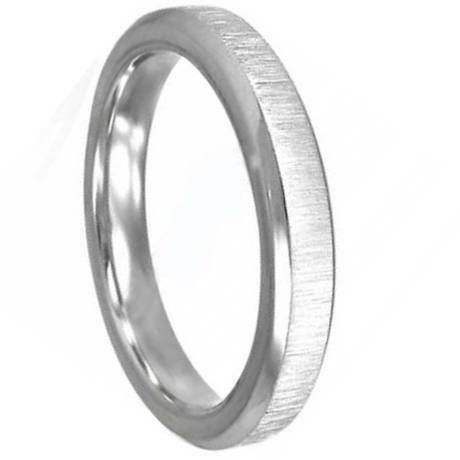 A brushed finish and beveled edges makes this 316L Stainless Steel wedding ring a great choice. 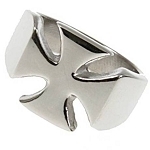 The beveled edges are a high polish which gives this ring a unique look. 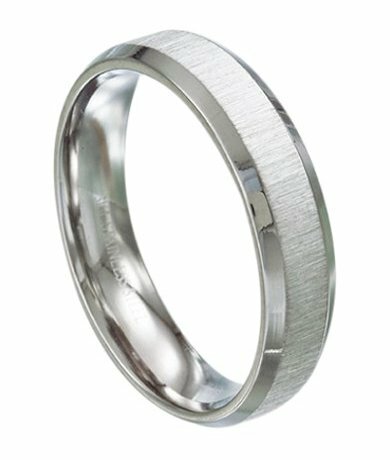 Great ring that looks and is holding up better than my palladium ring. GREAT fit and GREAT deal!! My husband loves this ring!! It's super comfortable for his larger fingers and it looks great. We had gotten him a more expensive ring that was a little wider than this one and it would slip off his finger way too easily. 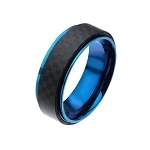 This ring is high quality, don't let the inexpensive price fool you.